NEW TIME! Oct. 31 at 12:30 p.m. — Too Ghoul 4 Skool JABSOM Halloween Spectacular! 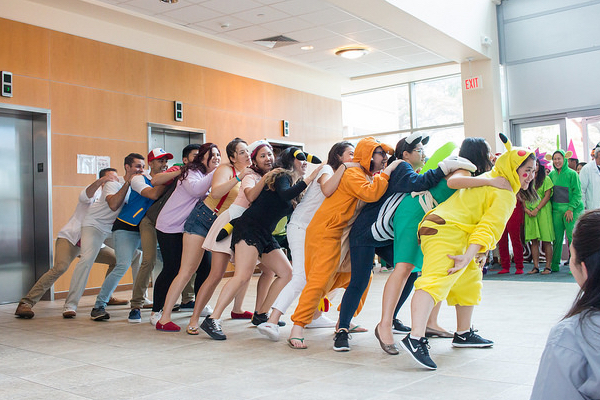 The MD students get out of class and into costume for one of the most entertaining events of the year: the John A. Burns School of Medicine Halloween! Our MD students are motivated to go “all out” in their costumes and their creative skits, because it helps them to prepare for the Halloween Trick or Treat parties that they will host for families and keiki at various homeless shelters this season through the Hawai’i H.O.M.E. (Homeless Outreach and Medical Education) Project. The event includes best costume competitions. The fun begins around 12:30 p.m. in the Medical Education Building lobby!